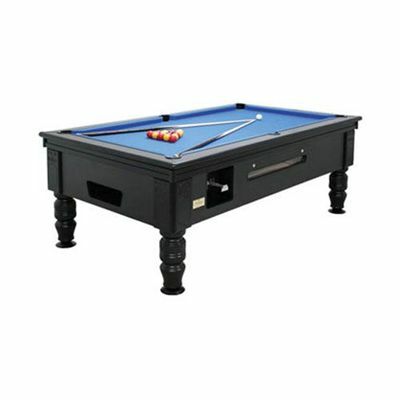 The BCE 7ft Westbury Noir Coin Op American Pool Table features all you could expect from a commercial slate bed pool table suitable for pubs and clubs. The built in ball return system is designed to return the white ball when pocketed but not the potted colour balls until more money is inserted. for submitting product review about BCE 7ft Westbury Noir Coin Op American Pool Table.